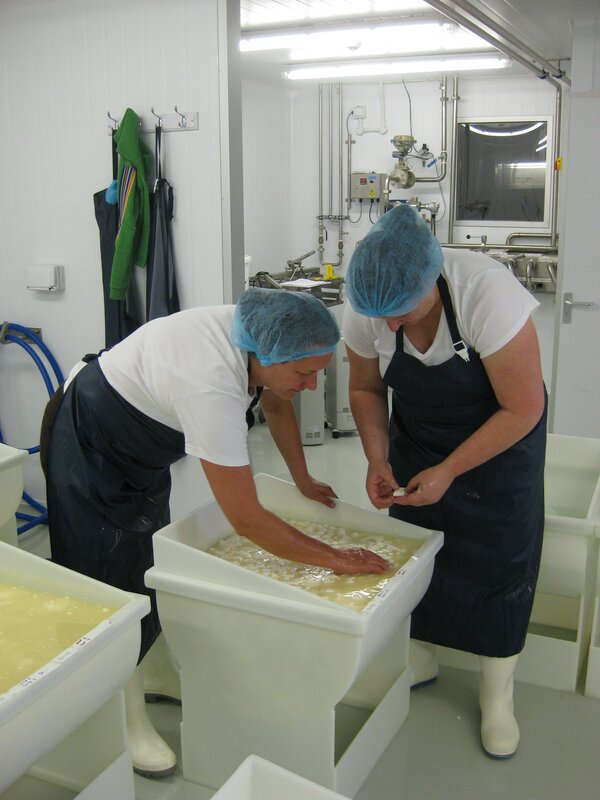 Hampshire Cheeses is a local business based in Herriard near Basingstoke and produces artisan cheese. It was set up in 2003, and in 2006 commenced production of Tunworth cheese. This is an unpasteurised mould-ripened soft cow’s cheese and has won several awards. The dairy was only able to produce around 230 cheeses per day and demand had far outstripped this, so the need to move to larger premises was necessary in order to meet the expansion requirements of the business. Stacey Hedges of Hampshire Cheeses explained: “We still produce each cheese by hand, and they are matured slowly in order to allow the flavour to develop. We also hope to develop a new cheese over the next few years using the same delicious unpasteurised milk and traditional methods of maturing.” Tunworth, a creamy brie-like cheese, was awarded Supreme Champion at the 2006 British Cheese Awards, beating over 840 other entries, and also won a gold at the World Cheese Awards in 2007. Total grants awarded for this project were £97,000 and contributed to the cost of refurbishment of new premises to create a new larger dairy and the purchase of new equipment and refrigeration. These new, larger premises will enable production to increase to 750 Tunworth cheeses a day, will enable the employment of more staff and increase supply to local outlet businesses. It will also benefit the local farm where the milk comes from and provide a learning facility for school children and colleges and an opportunity for work placement to support career development. Although this was not a normal LEADER grant as the maximum is usually £50,000, the Loddon and Eversley team funded the extra amount due to the significant outcomes the project was able to achieve. Hampshire Cheeses was one of the earliest recipients of a LEADER grant in the Loddon and Eversley area, receiving funds towards the expansion of their operations and moving into new premises. Already renowned for its quality, the business wanted to maintain their artisan techniques yet operate on a much larger scale to cope with the demand. The funds and the planning process they undertook in order to make the application helped greatly towards their success. 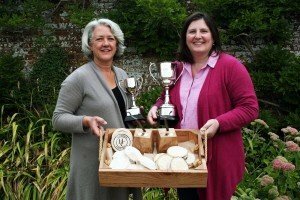 They can now firmly place themselves as one of the top cheese producers in the world after being winners in the world cheese awards held in Birmingham recently. Competition was very tough with thousands of entries from all over the world. Out of 2,781 cheeses entering the competition from 30 countries, only 50 cheeses are awarded a Super Gold medal. 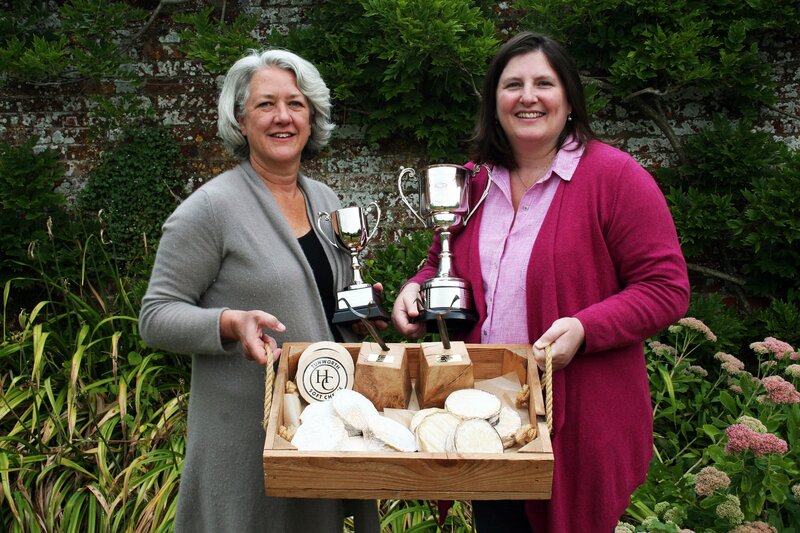 Hampshire Cheese’s Tunworth Cheese won a Super Gold Award. This is the latest accolade for the cheese which has previously been awarded the Supreme Champion British Cheese. In addition, Jamie Oliver has chosen Tunworth, with four other British cheeses, to go head to head with the best five French cheeses in his new Channel 4 series Food Fight Club which begins on Thursday December 6th at 9pm on Channel 4. Of course Tunworth won!